NIA CHARLESTOWN NEVIS (January 21, 2018) – Hon. Hazel Brandy-Williams, Junior Minister of Health on Nevis is calling on all sexually active women and girls to take advantage of the free annual pap smear clinic offered by the ministry. 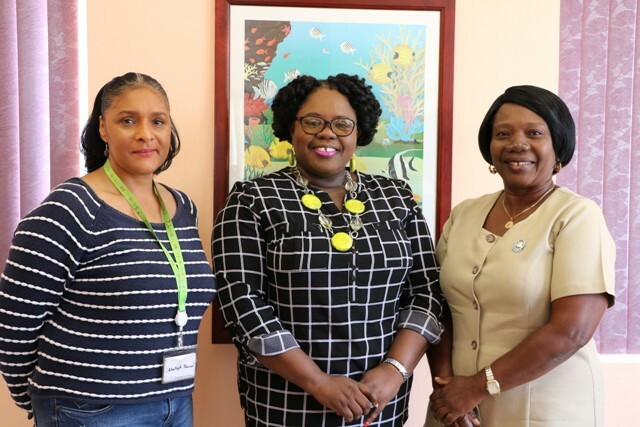 This year it will be held on the island’s six health centres on Saturday, January 26, 2019 from 8 a.m. to 11 a.m.
Mrs. Brandy-Williams made the appeal when she spoke to the Department of Information at her Charlestown office on January 18, 2019. The awareness campaign is part of the Ministry of Health’s larger initiative to provide testing for prostate, cervical and colon cancer during the month of January. “I am encouraging all women who are sexually active to make it their business to take part in this free screening and I say free screening. This is the third year and we are happy that from the statistics last year, we would have seen an increase over the year before and so this year we want to have an even bigger screening day next week Saturday. “Last week we saw the men turning out in their numbers to do this screening, and so next week is the women’s turn. I am not trying to make it a competition but I am admonishing the young women that if the men can take their health seriously, we too have to take our health seriously,” she said. Mrs. Bandy-Williams explained that the exercise is about knowing one’s status, early detection, since early intervention of cervical cancer saves lives. “Knowing your status saves lives. It also saves you financing because we are all aware that health financing is very expensive, and so I join with persons of Public Health and the entire Ministry of Health in encouraging one and all to come out and get your testing done,” she urged. The Junior Health Minister also appealed to parents of young girls deemed sexually active, to take them in for tested especially if they are under the age of 18. Over the past few week staff of the Health Promotion Unit have been involved in informing the public of the importance of taking advantage of the free cancer screening clinics offered by the Nevis Island Administration. Ms. Shelagh James Communications Specialist for the Unit said in 2017, 131 women participated in the screening and expressed hope that the number of participants would continue to grow. Mrs. Brandy-Williams was also joined by Nurse Ermine Jeffers, Coordinator of Community Nursing Services. She also encouraged women to take advantage of the free screening. The Ministry’s cancer awareness campaign is held annually in keeping with World Cancer Day. The day is organised by the Union for International Cancer Control (UICC) and celebrated each year on January 04. The observance provides an opportunity for the international community to end the injustice of preventable suffering from cancer.